Pizza with corn, chile pasilla, onions, mozzarella, feta, and limes. Cheeseboard’s influence has officially reached the Dimond District in Oakland. 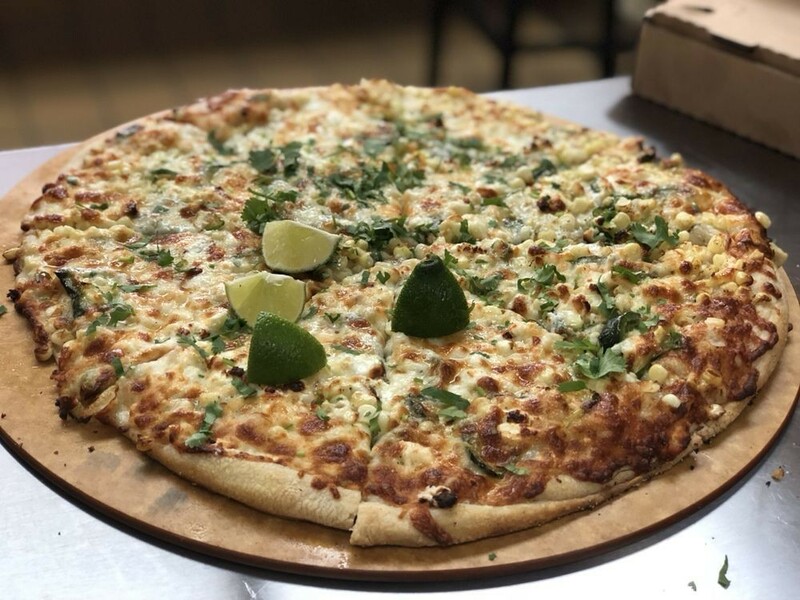 Cheeseboard alumni Artemio Maldonado and Dwight Ferron (formerly of Sliver in Berkeley) opened Dimond Slice Pizza (2208 MacArthur Blvd., Oakland) a couple of weeks ago, baking pizzas with a similar, sourdough crust and one set of toppings each day. As with Cheeseboard, Dimond Slice is vegetarian with vegan options. You can order by the slice ($3.50), half pie ($10.50), or whole pie ($20). Toppings so far have definitely felt Cheeseboard-esque: fresh corn, cremini mushrooms, caramelized onions, herbs, and various cheeses. It’s a no-frills sort of space — no booze but plenty of seating and, because it’s not actually Cheeseboard, no long lines.